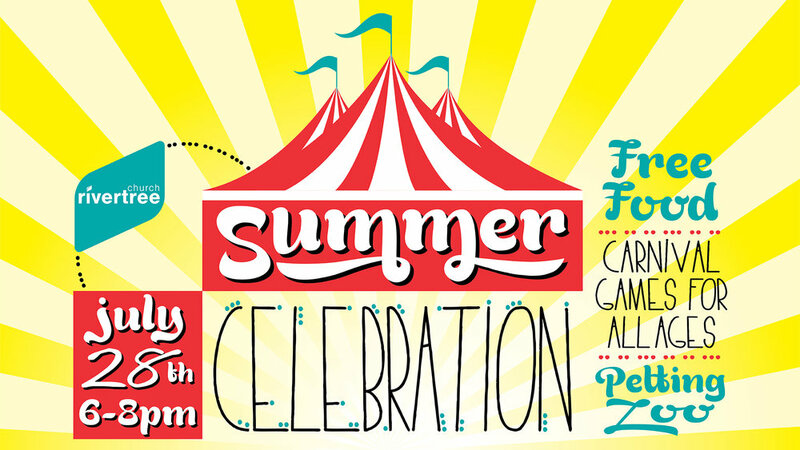 Come enjoy a family-fun Summer Celebration at Rivertree Church. This free evening offers yummy food, fun carnival games and a petting zoo for all ages. Invite your neighbors and friends - Everyone is welcome! Bring chairs and blankets for your family. The celebration will be moved inside in the event of inclement weather.